It’s 2019 and if you still haven’t heard about turmeric, I just don’t even know what to tell you. The spice is beloved for its anti-inflammatory benefits, making it a mainstay of traditional Indian cooking as well as more modern products like golden milk lattes and even turmeric supplements. 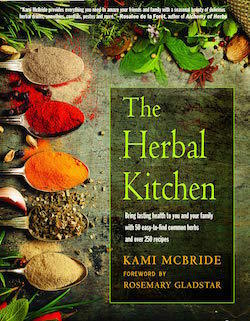 It’s such a powerful ingredient that The Herbal Kitchen author Kami McBride says she incorporates it into her dishes as much as she can. “I always say, ‘You need a carminative at every meal,’” she says. (Carminative = something that increases blood and oxygen flow to the digestive system, and ahem, relieves gas.) “Digesting lunch uses more energy than we realize, and finding creative ways to add carminative herbs and spices to food is one of the best health hacks out there,” she says. One way McBride does just that is with her black pepper and turmeric ghee recipe. McBride’s recipe is simple: just ghee, powdered turmeric, black pepper, and powdered bay leaf. “Turmeric, pepper, and bay are powerful digestive-supporting carminative herbs,” she says. And pairing black pepper and turmeric makes the anti-inflammatory effects of the turmeric stronger. She also says the bay leaf tempers the intensity of the pepper. “Together, they create a trinity of flavor that’s perfect for slathering on roasted vegetables and drizzling on hummus and dips,” she says. Some of McBride’s favorite ways to use this ghee is adding it to soups, or on to of yams, sweet potatoes, or turnips. It can also be worked into rice dishes. Mouth watering yet? Get the recipe below. 1. Put the cup of ghee in a small bowl. 2. Add in the powdered turmeric, black pepper, and bay leaf to the bowl with the ghee and blend together. 3. Let the blend sit for two weeks before eating. 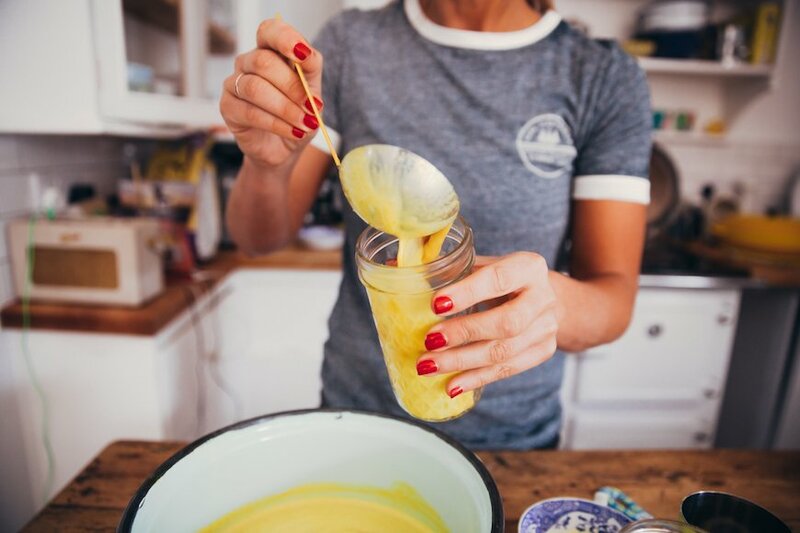 The ghee does not need to be refrigerated. Here are some other ways to reduce inflammation. Plus, how upping your fiber can help.